Posted on 10/18/2018 at 3:31 pm. Opener “Landslide” wastes no time in getting right down to the heavy riff that knocks you over, complete with the soaring vocals that cascade over the staggered tempos that keep your feet moving during the almost ten minutes. “Landslide” sets the tone for the rest of the record to follow with a slow fade out, leading right into “The Watchers” with another lead you slowly follow along until the full body of stoner-might pops you in the jaw this time. Making sure you feel the reeling as you spin in amazement at the sheer force pumping out of this three-man machine that keeps the slice-and-dice routine swirling around you, even as the last chord strings in sustain. “Flood” is more even tempered and keeps the air shimmering with a bass tone that is ALL enveloping and shows zero sign that it will relent anytime soon, and why would you want it to?? Domkraft….The Calm before that Tsunami!! “They Appear To Be Alive” comes out nice and sedated and is the sole instrumental contained on this slab of intensity and then after a half second space, “Sandwalker” hits hard again, maintaining the stature of a giant that looms above and beyond as the musical winds whip the air around with a fury not witnessed since, well, the LAST Domkraft record!! “Octopus” is one of the harder-hitting compositions with the bass-slides and power chords encasing a drum line that fits like a ‘magnum’ and serves ‘this ride’ well. The stand-out track, in MY opinion, “Dead Eyes Red Skies” wraps this masterful-morsel in the perfect foil of musical precision that in it’s HUGENESS of mix, towers above the rest of the album and promises so much yet to come from this triad of mega-power. I believe this release will be making a lot of ‘best-of’ lists for 2018 and does indeed indicate that Domkraft is set to be in the leagues of their peers with bands like Monolord and Neurosis to name a few. If you don’t believe me, get your copy, share it ALL around and see what those around you are saying. Support / witness these guys in a live format if you are given the opportunity and above all else, keep it LOUD!! Posted on 10/15/2018 at 11:17 am. 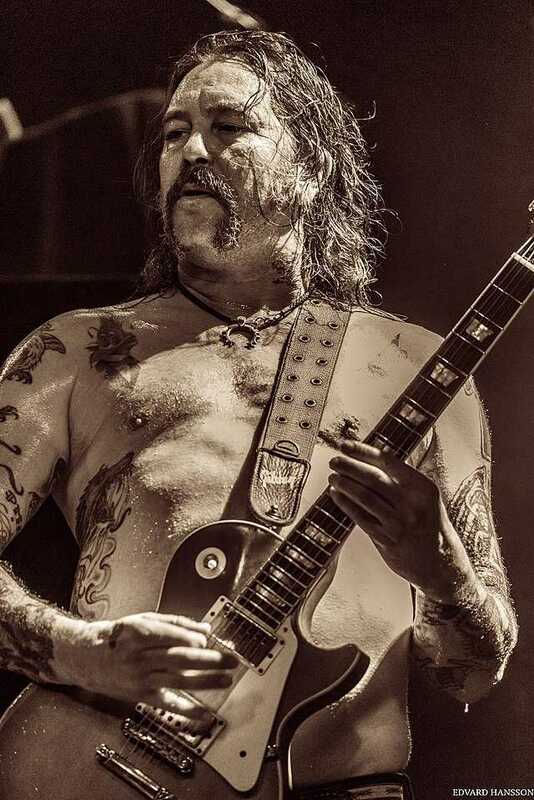 Way back in 1998, Matt Pike was deep in the band SLEEP as guitarist and when the other guitarist quit, Matt began inviting people to come to his garage to jam. This led to Matt deciding to work in a power-trio again. Within 6 months, the jams led to the formation of HIGH ON FIRE, allowing Matt to keep his tone similar while his playing style was becoming faster and more aggressive in delivery and structure and taking over vocals and writing the bulk of the new material. As of 2007, the current and most prolific line-up solidified into the unit that is getting set to take the new release to the world. Having toured endlessly with a wide variety of acts from GOATWHORE to CONVERGE, including a stint on MEGADETH’s “Gigatour”. With the release of “Electric Messiah” Pike & Co. are not trying to re-invent the wheel; FAR from it. Nine tracks and 59 minutes later, HoF have delivered what can only be described as the quintessential definition of what High on Fire has come to demonstrate; aggressive precision seasoned perfectly with Matt’s lyrical creations. This fits seamlessly into his 6-string myriads of hyper-aggro masterpieces. Tracks like ‘Spewn From The Earth’, ‘The Pallad Mask’ and ‘Freebooter’ show that the might is still intact and the longer compositions are still present as ‘Steps Of The Ziggeraut/House Of Enlil’ and ‘Sanctioned Annihilation’ show clocking in at over 9 minutes plus. 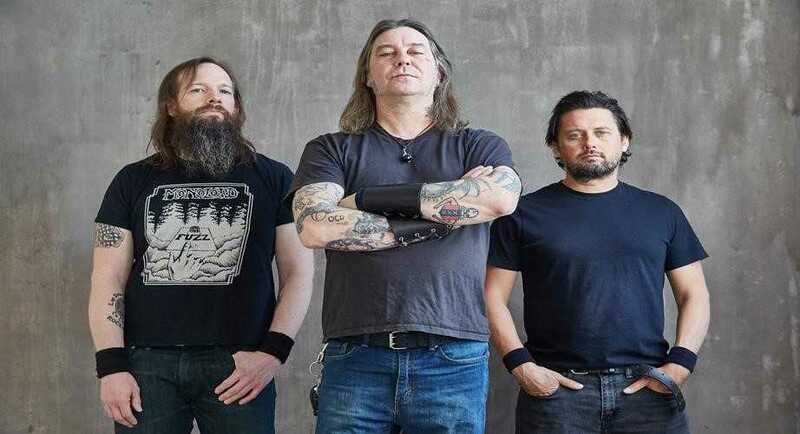 ALL factors that encompass High on Fire are present and even the title track belies that they are even more cohesive and just flat-out IN YOUR FACE than ever before, using power-chords, bombastic bass tones and drum-attacks that ring in sheer might. The standout on this record, for ME, is the closer ‘Drowning Dog’. I hear the culmination of the best of each previous release, all winding into this diatribe that allows Matt to give it all and offers what can only be HoF at it’s absolute top-notch performances. If you don’t have it yet, GET IT asap. If there is any in your circle that may not yet be aware of what High on Fire entails, force-feed them until they know, support these guys live if you get the chance and above all else, KEEP IT LOUD!! Posted on 10/11/2018 at 9:59 am. One of our favorite bands here at Taste Nation, Spiritualized rockers from Ukraine, Ethereal Riffian are launching a crowdfunding campaign via Indiegogo to support their 3rd full-length album which they plan to release next year and we couldn’t be happier!! With all Ethereal Riffian’s previous releases their intention was to make people realize their true potential via different spiritual traditions, but with the third album we want to bring the wisdom from the Himalayan Caves to the streets of big cities and radio stations. Eight years since the inception of the band, we have refined our musical language to be able to produce the songs which talk directly to the Spirit and now we’re finally ready to record the album which will shake you to the core. We’ve been creating psychedelic rock music with a message since 2010 and are now ready to record our 3rd full-length album. We have started working on the new album in the beginning of 2016 and it took us a little more than two and a half years to write 10 new songs full of energy and purpose. You can follow the process of album’s recording via Ethereal Riffian’s YouTube channel.